We’re always searching for those hidden culinary gems, the secluded restaurant that’s seldom visited but produces some of the best food you can find. While these individual restaurants are scattered all over the world, it’s hard to find an entire neighborhood that can be classified as a hidden gem. Venture into Anaheim’s Little Arabia, and you’ll find just that. 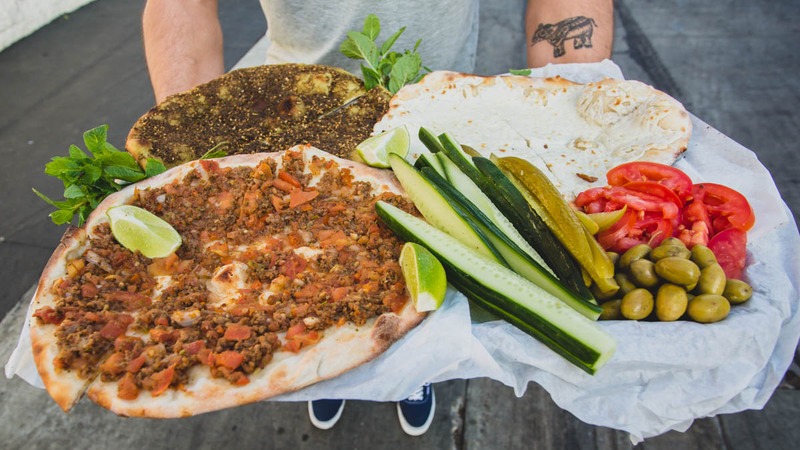 Located not too far from Disneyland, this neighborhood is home to some Middle Eastern food legends. 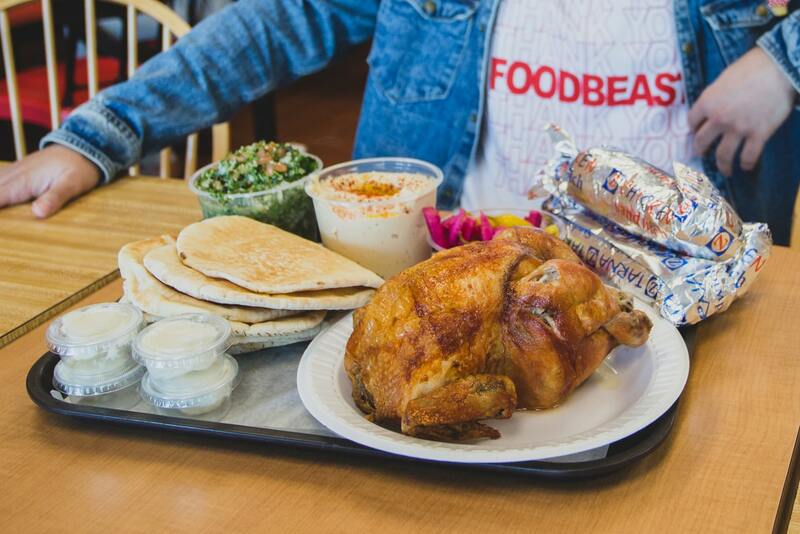 They’ve all been on the block for 20 years or more, making this area THE destination for the local Middle Eastern community looking to get a taste of home. 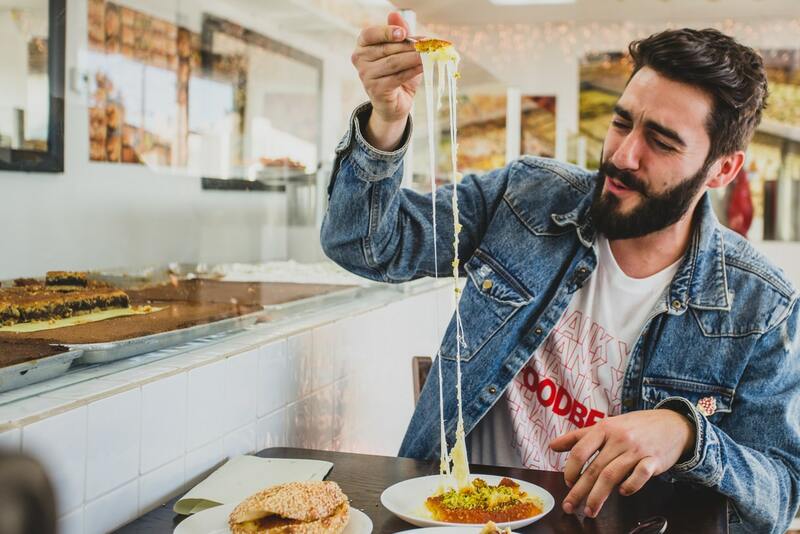 Whether the food is from Syria, Palestine, Lebanon, Egypt, or any other Middle Eastern country, there’s a plethora of culture, nostalgia, and flavor waiting to be discovered in Little Arabia. This includes Sahara Falafel, known for having the best fried chickpea balls in Orange County. 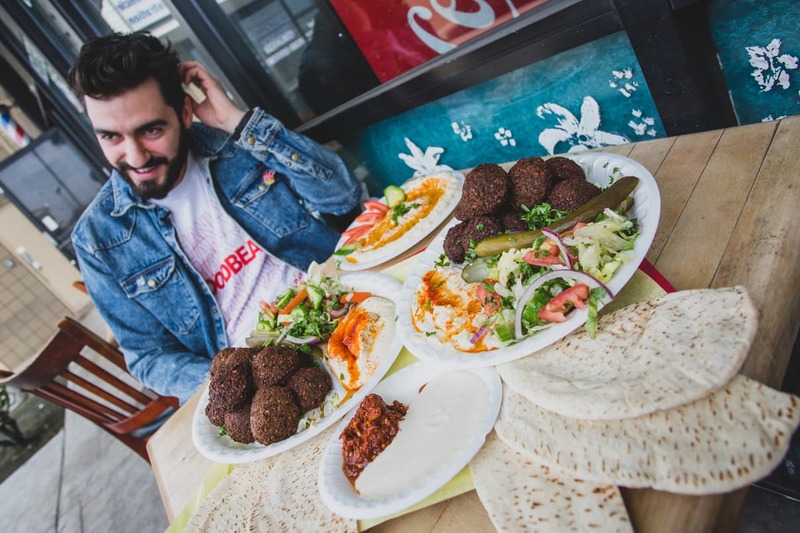 Served by the plate, pita, or on their own, Sahara has been a falafel destination for over 20 years. In that same time span, the owner, Mahmoud Salem, has still been working his night job at a local Marriott hotel, despite customers trickling in up until 2 a.m. Talk about being on that grind. One of the other top specialists in Little Arabia is Forn Al Hara, which is heralded for its manaeesh. These flatbreads are light, airy, and doughy, and can be topped with everything from za’atar, a blend of herbs and sesame seeds, to cheese and ground beef. The bakery also makes other traditional goods like fatayer (stuffed spinach hand pies) and baklava. If you’re in the area for breakfast, manaeesh is the way to go. Perhaps the most notable amongst the storied restaurants of Little Arabia is Zankou Chicken, which has gained national fame for its simple but delicious plates of chicken, pita, and legendary toum, a.k.a. white garlic sauce. First opened in Lebanon by an Armenian family, Zankou has since spread into a sizeable chain with locations throughout Southern California. This spot in Little Arabia, however, still has that timeless charm that keeps people coming back for more. If your sweet tooth is calling, Little Arabia covers that as well with Victory Sweets, a bakery that specializes in tons of lavish Middle Eastern treats. They’re making all kinds of baklava from scratch – including the phyllo dough – and crank out one of the cheesiest, sweetest knafehs you’ll ever stuff into your mouth. Pro tip: stuffing the knafeh into a sesame bun adds a whole new level to this gooey dessert experience. Little Arabia may be small, but the flavors, history, tradition, and culture that goes into this district make it a heavyweight in the world of underappreciated dining spots. If you find yourself near the Disneyland area, you’ll be rewarded if you take it upon yourself to venture into this lesser-known Anaheim destination. You can view all of the restaurants and how they craft their masterpieces in the above episode of Foodbeast’s Chomping Grounds.